Hamilton Says Hands off Cuba! End the Blockade Now! 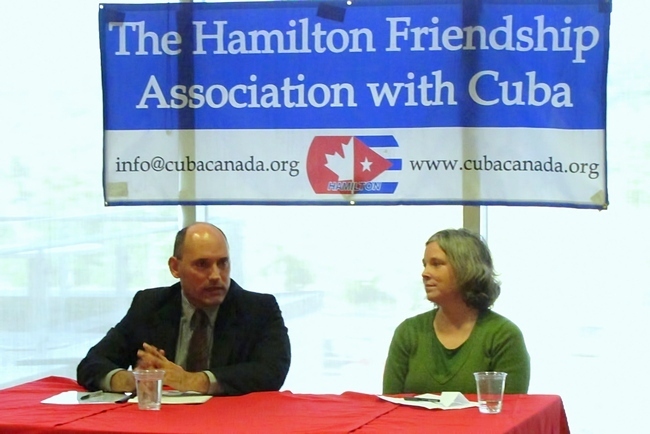 Hamilton Friendship Association with Cuba. On September 15, the Hamilton Friendship Association with Cuba (HFAC) held an event featuring Jorge Soberón, the Cuban Consul General in Toronto in an evening lecture on the topic of Hands Off Cuba! End the Blockade Now! The event was co-organized by McMaster OPIRG as part of McMaster University Alternative Welcome Week. The audience consisted of workers and youth who came to learn about the blockade and its impact on Cuba. Lisa Nussey, HFAC Executive Member chaired the event, first welcoming Heidi Trampus from the Worker to Worker Canada-Cuba Labour Solidarity Network who affirmed the importance of union and worker exchange between the two countries. She invited everyone to the annual Worker to Worker conference, taking place from September 24 to 26 in Toronto. The conference, she announced, will conclude with a "Free the Cuban Five" open forum on Sunday, September 26 from 9:30am to 1:00pm. It will feature guest speakers Elizabeth Palmeiro, wife of Cuban Five Hero Ramon Laba?ino, and Silvia Garcia Tabio, a member of the Cuban National Assembly. The HFAC encourages everyone to attend this exciting program! Heidi's remarks were followed by greetings from Brain from McMaster OPIRG to the gathering. Jorge Soberón then spoke, thanking everyone for their ongoing friendship with Cuba and pointing out that Hamilton-Cuba links are very strong. He also informed everyone that direct flights will soon begin from the Hamilton airport to Cuba. Earlier that day, Mr. Soberón said, Cuba's report on the UN General Assembly's resolution against the blockade was presented to the Cuban National Assembly. That resolution was passed by 185 countries of the UN, outlining the international community's demand for an end the U.S. illegal blockade. Despite this resolution, the Obama administration has made no substantial changes to the long-standing U.S. blockade. What little changes have been made, Mr. Soberón explained, are merely cosmetic and do not signify a real shift in U.S. foreign policy. Yet Cuba and its people will continue to push for the normalization of relations between the two countries, he affirmed. Mr. Soberón outlined the great difficulties faced by the Cuban people on a daily level under the blockade. Such difficulties have been aggravated recently by the devastating 2008 hurricane season which was soon followed by the world-wide economic crisis. The blockade has cost the Cuban people untold billions of dollars since its imposition in 1961 and has stifled Cuba's ability to provide for its citizens, he said. He cited a simple example of a chemotherapy drug, used to treat brain tumors. This drug is only available in the U.S. and those who would benefit from or be cured by it must simply do without as the U.S. will not permit Cuba to import it. In the face of this aggressive policy, Cuba and its people continue to build a society that looks after the well-being of all, he concluded to applause. The lecture was followed by a lively discussion, with participants looking forward to future opportunities to discuss the work of Cuba and build relations between our two peoples. The Free the Cuban 5 Committee-Vancouver continued its participation in the growing annual International Period of Action in Solidarity with the Cuban Five by organizing an all-day vigil in front of the U.S. Consulate in Vancouver on September 13th, 2010. 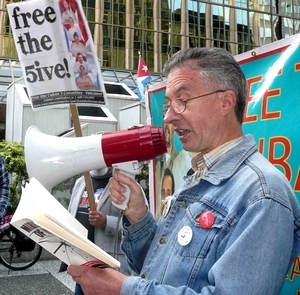 The vigil lasted 11 hours, from 8am to 7pm, and was punctuated by a spirited picket action denouncing the now 12 year imprisonment of the Cuban 5 Heroes and demanding their immediate release. Downtown traffic slowed to look at two large banners demanding "FREE THE CUBAN 5 NOW!" while pedestrians were greeted by vigil participants explaining the case of the Cuban 5 and asking them to sign postcards addressed to Barack Obama demanding their immediate release, as well as offering Free the Cuban 5 Committee – Vancouver created postcards intended to be mailed to family and friends who may not yet have heard of the case. Throughout the day dozens of people participated in the picket including many members of the Latin-American, faith, LGTB, Middle-Eastern, and progressive communities. A letter of protest was written addressed to the U.S. Consul General in Vancouver Phillip Chicola, as well as to U.S. President Barack Obama and Secretary of State Hillary Clinton. Although the letter was delivered during regular consular hours, the delegation was told by security guards blocking the door there was no one in the Consulate capable of receiving the letter. While the head of security finally agreed to deliver the letter personally, the delegation remained committed to returning and will have ample opportunities as monthly picket actions will continue in Vancouver until the Cuban 5 are released. The day culminated in the busy picket action with over 40 people participating. 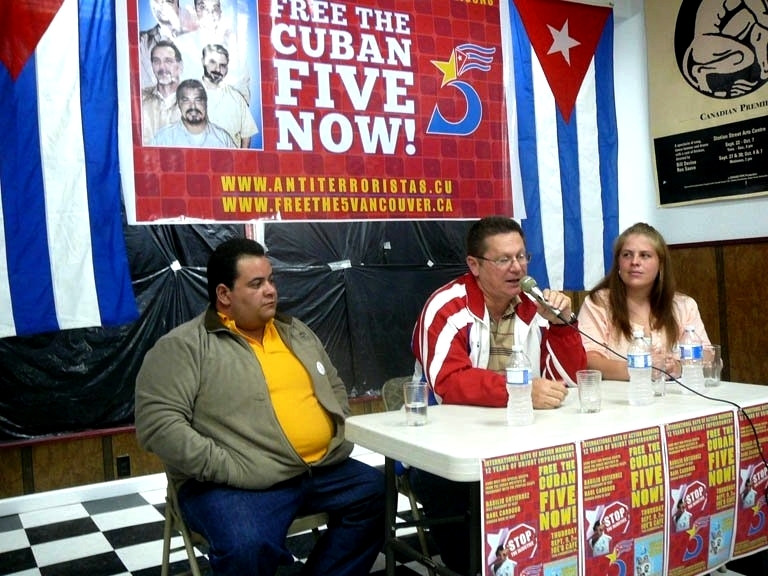 Speakers included Free the Cuban 5 Committee – Vancouver members and decades-long social justice fighters Nestor Ortega and David Whittlesey, as well as Lyne Alton who had travelled from Vancouver Island to participate in the action. Sean O'Donoghue from La Table de Concertation de Solidarité Québec-Cuba also gave greetings via telephone, while local rapper Speeches Beyond and poets Seoniad Lamb and Luis Velasquez added an important cultural dynamic to the event in support of Cuban 5 heroes. 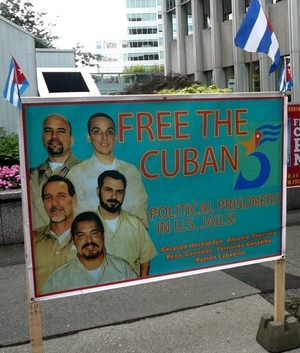 Free the Cuban 5 Now!" 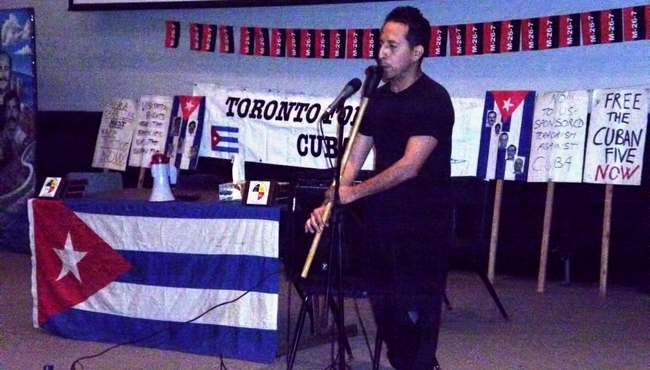 On September 12, the Toronto Forum on Cuba and others held a public forum to mark the 12th anniversary of the imprisonment of the Cuban 5. 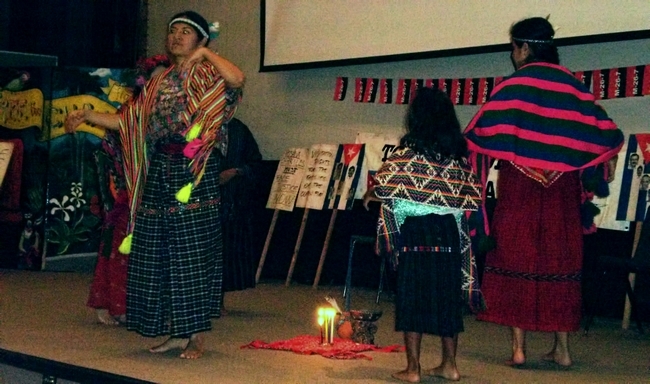 The event began with a Mayan welcoming ceremony and speakers included relatives of the Cuban Five, as well as cultural performances by Poetic Voices/Voces Poéticas and Zuviri. 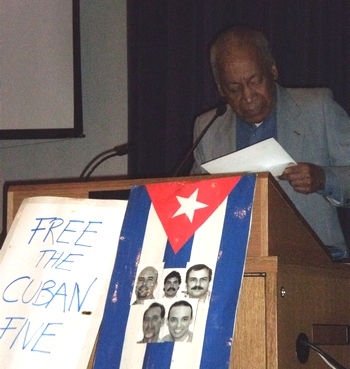 Vice-President of the Cuban Institute for Friendship with the Peoples (ICAP) Basilio Gutierrez; Professor Keith Ellis, Coordinator for the Cuba for Haiti Campaign, reading a message of greetings from Puerto Rican independence leader Rafael Cancel Miranda; Morteza Gorgzadeh of the Toronto Forum on Cuba. Musical performance by Ruben Esguerra. 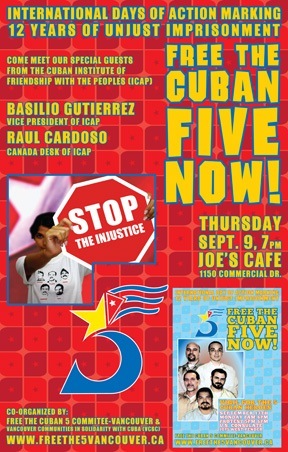 On September 9th, 2010 participants gathered, some for their first time and some after many occasions, to hear about the struggle for liberation of the 5 Cuban Heroes held in U.S. prisons. 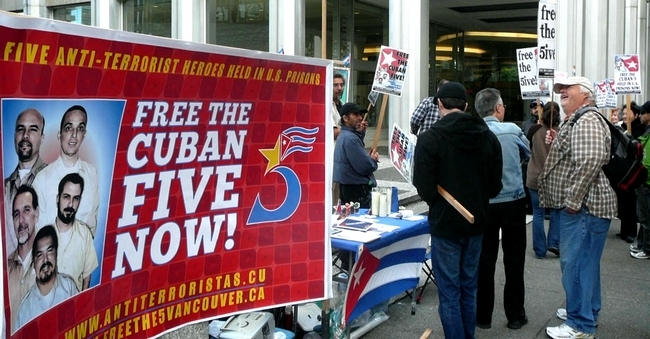 This event was organized in Vancouver as part of an International Period of Action taking place to mark the 12th year of the unjust imprisonment of the Cuban 5 and to strengthen the worldwide campaign to free them. The Free the Cuban 5 Committee-Vancouver and Vancouver Communities in Solidarity with Cuba (VCSC) co-organized this very special event to commemorate these 12 years of struggle. The event was honored to have as special guest speakers, Basilio Gutierrez, Vice President of the Cuban Institute of Friendship with the Peoples (ICAP) and Raul Cardoso, from the Canada desk of ICAP. To begin the event, the evening's facilitator, Tamara Hansen, coordinator of VCSC announced the loss of a great fighter in the Cuba solidarity and social justice movement, the passing of Rev. Lucius Walker, Jr. Walker was the founder of the IFCO/Pastors for Peace Caravan to Cuba which has been for over 20 years organizing one of the greatest international campaigns in solidarity with Cuba and to end the immoral and inhuman blockade by the U.S. government. Tamara introduced a beautiful book addressed to the family, friends and co-fighters of Rev. Lucius Walker and encouraged all of the participants of the event to write their feelings towards Walker in its' pages. The event continued with a wonderful musical opening by long time supporter of the Cuban 5, Joaquin Ernesto, who gave tributes to Walker and the 5 Cuban Heroes sharing songs from Cuba and Latin America. The live music made way for the introduction of the first of the two special guests from Cuba. Raul Cardoso spoke first with aid from a PowerPoint presentation to explain the history of U.S. sponsored terrorism against Cuba and to outline the work of the Cuban 5 to expose the terrorist crimes. 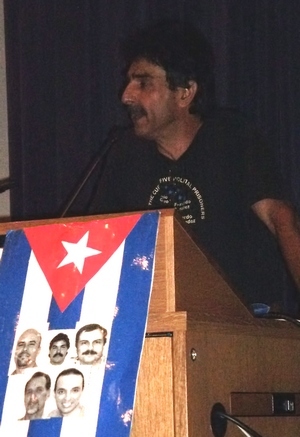 Raul also gave an in-depth history of the case of the 5 Cuban Heroes from its' beginning. Basilio Gutierrez spoke next, passionately describing the situation of the legal process of the Cuban 5 and the necessity of the international movement to free the 5 Cuban Heroes. He explained that the legal avenues of the case are coming to a close and that the decisive battle for their freedom will come from the political pressure of the campaign to free them. After these two dynamic presentations, the floor was opened up for questions and discussion. 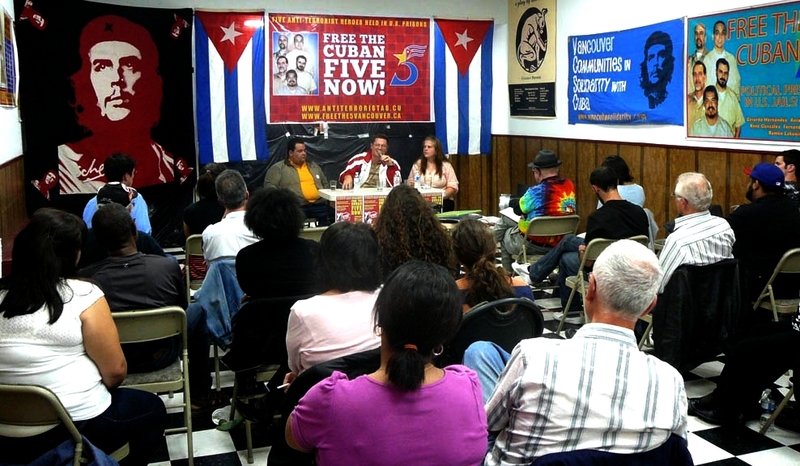 Many of the participants at the event asked questions or made comments about the case of the 5 Heroes, the Cuban revolution and Fidel's recent talks in Cuban public life. 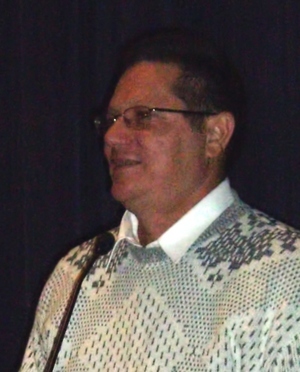 People participating in the event created a lively discussion which led Basilio to state that we must organize more events to be able to address all of the questions and comments that were brought up about the 5 Cuban Heroes and Cuba. Free the 5 Cuban Heroes Now! 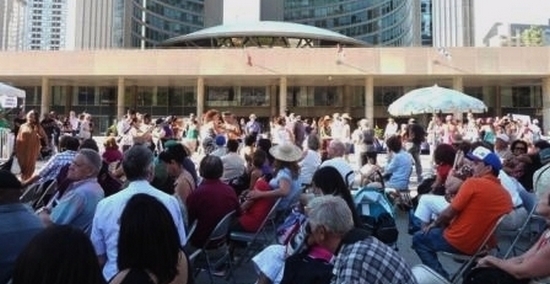 On August 28, the 15th annual Toronto-Cuba Friendship Day was held at Nathan Phillips square in front of Toronto City Hall. 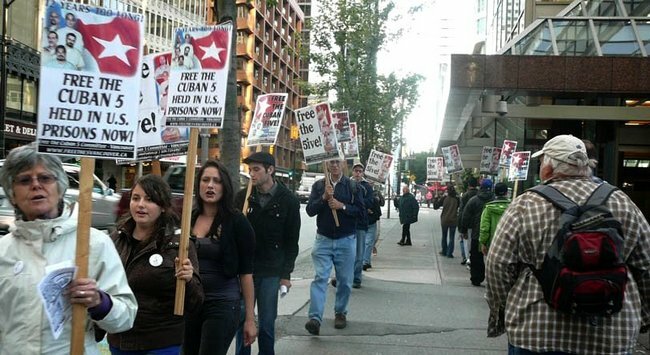 Front and centre were banners calling for the liberation of the five Cuban heroes imprisoned in the United States and an end to the illegal economic, commercial and financial blockade by the U.S. Present were Cuba solidarity activists, the Juan Gualberto Gómez Association of Cubans and many friends and supporters of the Cuban people and their Revolution. Cuban Ambassador to Canada, Her Excellency Teresita Vicente, delivered the main speech, in which she expressed sincere appreciation for the solidarity and friendship with Cuba in Canada. Also present were the Vice President of the Cuban Institute of Friendship with the Peoples (ICAP) Basilio Gutiérrez García and Raul Cardoso Cabrera, also from ICAP, as well as Antonio Rodríguez Varcárcel, Minister-Counsellor of the Embassy of Cuba and Jorge Soberon, Consul General of Cuba, based in Toronto, among other officials of the Cuban Diplomatic Mission. 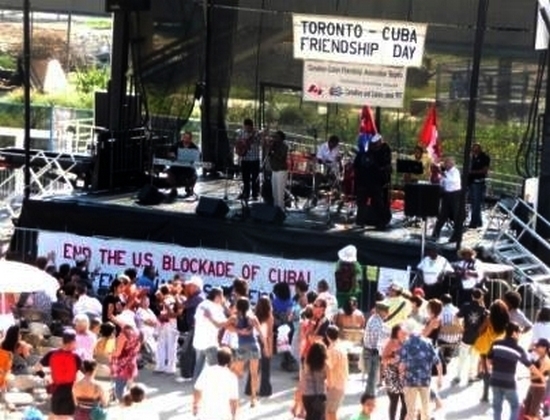 The President of the Canadian Cuban Friendship Association of Toronto, Elizabeth Hill, said the growing ties between the Cuban and Canadian people are shown by the visit to Cuba of more than 900,000 people from Canada in 2009. Tony Ruprecht, Member of Provincial Parliament for Davenport, recognized the admiration of Canadians for Cuba and in particular the profound dignity that characterizes the people. He read a message of friendship from the Premier of Ontario Dalton McGuinty. The event also saw the raising of the Cuba flag, the singing of the Cuban national anthem, as well as Cuban music, dancing and food, to the delight of the hundreds of participants and passers-by.